Abundant Living Care is a home health care company based in Mequon, Wisconsin. From the start, our focus in providing services has always fallen on attending to our clients’ needs for companionship, personal care and safety supervision. To offer less costly and more convenient options for families with an elderly or chronically ill loved one. Our professional team believes it is their duty to deliver expertise in providing care for every family we are entrusted with. Abundant Living Care seeks to uphold the highest standards of providing home care to the point of setting the higher bar for other providers to use as benchmark. 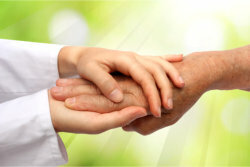 We are ambitious in the quality of our care but at the same time, we care compassionate about the unique health situations of the clients in our care. We hope for you to have a fulfilling experience in home care from our reliable team at Abundant Living Care. Abundant Living Care promotes equality in providing services and employment. Conforming to Title VI of the Civil Rights Act of 1964, our company does not exclude, discriminate or deny benefits to any eligible person, client, customer or employee on the grounds of race, color, sexual orientation, age, disability, gender, religion, national origin, ethnic background, citizenship or ancestry.